You may have more options for the placement of your outdoor fireplace than you realize. Many people are pleasantly surprised to learn they can include a fireplace not only on a patio but in a screened porch or open porch as well. The fireplace will take up a bit of wall space. This may affect your view and furniture placement. But it can infuse warmth – both literal and figurative – to your screened porch. Once you know where you’d like to add your outdoor fireplace, you’ll need to decide whether gas or wood is the better option for your lifestyle and budget. Gas and wood each have advantages. For gas, you’ll spend less on the fireplace itself because you’ll have fewer chimney requirements to meet. Plus, you’ll have less maintenance once your fireplace is built. That said, gas fireplaces require gas line access and the purchase of a fireplace box. Check with your builder to ensure that your gas outdoor fireplace uses an outdoor-rated box. In addition, you’ll need a gas line installed by a licensed and certified plumber and a separate inspection for that line. On the other hand, a wood outdoor fireplace can offer a more traditional feel and will spare you the additional gas line. That said, wood fireplaces do have many code regulations to meet. A reputable contractor will ensure that your fireplace meets standards regarding heat, air clearance, chimney regulations, and other local codes. 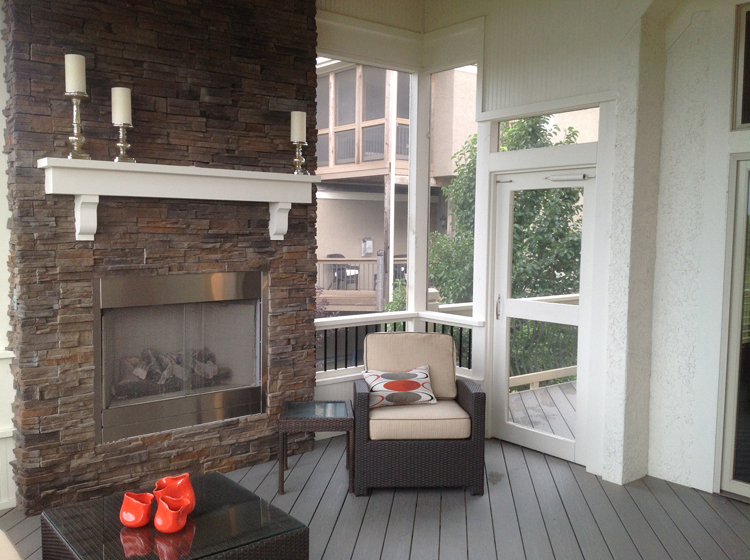 The budget of an outdoor fireplace can vary widely depending upon the fireplace and builder chosen. Builders and contractors offer varying rates, but selecting a reputable builder who is familiar with local regulations and codes is of utmost importance to such a project. Additional upgrades like fascia trim or a mantle can increase the value of your fireplace and the cost of your budget. Depending upon the fireplace type you choose, the budget can range between $6,000 – $10,000 or in some cases more. Considering how an outdoor fireplace can extend your porch season and lift your home value, it’s of little surprise that the trend has become so popular in the Kansas City area. With so many options, though, it’s important that you find the fireplace that’s best for you and that you find a respected builder who will guide you through the maze of regulations that come with adding an outdoor fireplace. 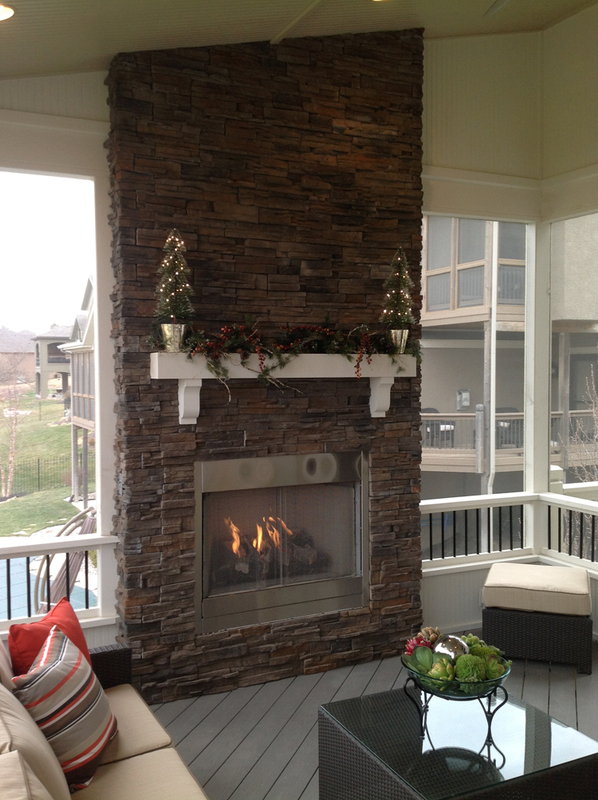 If you’re considering the addition of an outdoor fireplace – or a deck, porch, patio or other outdoor living structure – to your Kansas City area home, give us a call at (913) 851-3325 for a free consultation or email us at kansascity@archadeck.net. We look forward to your call. This entry was posted in Outdoor fireplace on August 6, 2013 by archadeckkansascity.